Should We Stop Telling Children They Are Smart? “You are soooo smart!” As quickly as the words left my lips, I muttered to myself, “I’m not supposed to say that.” Now granted, I was talking to my pooch who had just brought her KONG toy to me for our workday ritual (a dab of peanut butter before I leave for work). However, pup aside, there is evidence that we are not helping children by telling them they are smart. We want children to develop a growth mindset, not a fixed mindset. You see, intelligence is not fixed. 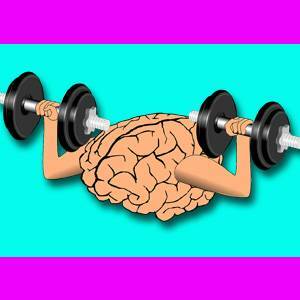 The brain is like a muscle—the more you use it, the more it grows. If a child believes he is smart, he may be less likely to try a task he views as challenging. If he’s smart, he shouldn’t fail, right? By helping children develop a growth mindset, we teach them that, with tenacity and effort, their learning is essentially unlimited. And guess what? The same is true for people of all ages. What phrases do you use to encourage learning? I believe is a very vital and important motivational tool…that helps children believe they can achieve and accomplish anything they set their minds to! It helps to build their learning attitude and ability.. I like to tell them wow you can do anything you set your mind too.